The MAJESTIC AT LAKE WALDEN (810-632-5235) is a 27 hole Jerry Matthews design located on some of the most beautiful property in Michigan. "Majestic" is truly a great description for this course. The first 18 holes wind their way around the 150 acre Lake Walden, which is spring fed. The property is spread out over 1400 acres and includes a full compliment of amenities, with banquet facilities, a natural driving range and ample putting green. 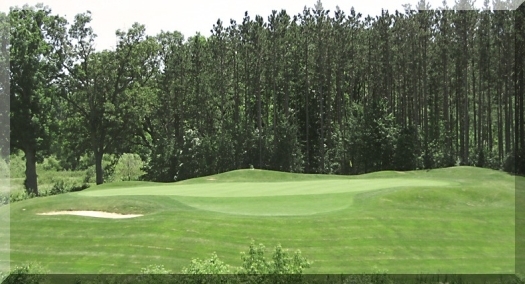 The topography features rolling hills with elevation changes from tee to green on many holes. Tree-lined fairways offer fair landing areas with marshlands, multi-tiered greens and a variety of bunkers to challenge your shot making ability. Four sets of tee boxes allow you to choose your distance, which ranges from 4700 to 7000 yards. Daily pin placement sheets, a GPS and standard fairway marking systems (fairway markers and sprinkler heads) are in place for your convenience. 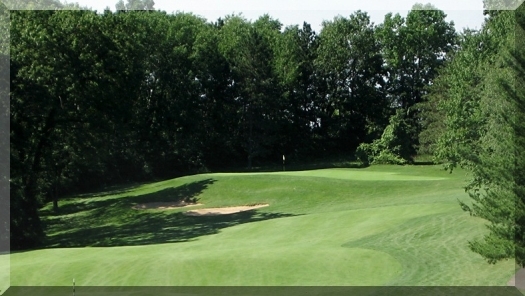 The Majestic is a championship golf course, open to the public in 1994, set in a Northern Michigan environment - less than 1 hour from downtown Detroit. Breathtaking views and abundant wildlife can be found amongst mature hardwoods, meadows and land surrounding Lake Walden. Yardage Marker Information: Red Plate = 100 Black/White Pole = 150 Blue Plate = 200 Gold Plate = 250 plates in the middle of the fairway. GPS on all golf carts giving yardage and hazard info. If you are looking for an introduction to The Majestic Golf Course, check out this video! Our friends over at Michigan Golf Live produced it and it's narrated by our golf course architect Jerry Matthews. Even if you know of us, check it out !